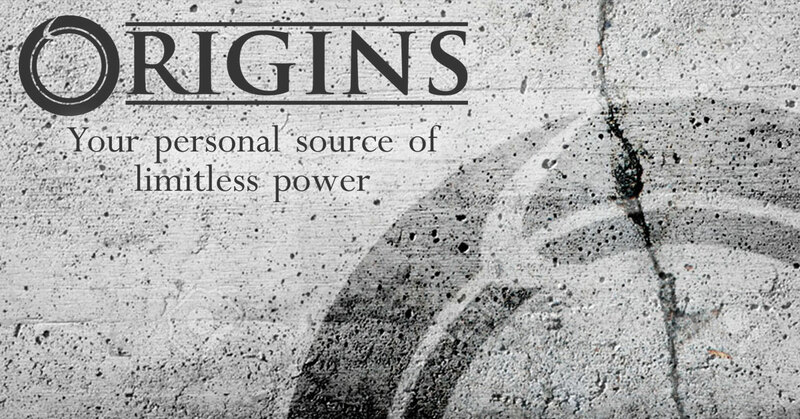 Origins: Your Personal Source of Unlimited Power is making waves in the Law of Attraction community. This product aims to amplify your manifesting results by up to 5,000x more, allowing you to live a more fulfilled, happy life. Let’s start by looking at the woman behind the curtain and the face of Origins: Katherine Hurst. Katherine Hurst, a Law of Attraction expert, created Origins after years of struggle and hardship. She works as an editor for one of the largest Law of Attraction websites, which currently hosts over 7 million users. Hurst has found success and happiness through manifestation and tools based on the law of attraction. But life hasn’t always been easy for this businesswoman. Hurst describes working diligently for the same corporation for 14 years, waiting patiently for a promotion she was promised for her hard work and dedication. Then, on a seemingly average day, her world was flipped upside down when she came into her office to find a memo on her desk. Please join me in welcoming Jessica Fitzgerald as our new VP of Administration. Since the recent corporate merger, I am being transferred and Jessica is taking my place. Let’s all help make her feel at home. Everything that Hurst had worked worked so hard for all these years was suddenly gone. “I can’t even describe how unappreciated I felt,” she says. It was at this time, after reaching her lowest point, that Hurst was introduced to the Law of Attraction. The Law of Attraction (LoA) is the ability to attract into our lives whatever we are focusing on. Under the LoA, we have the ability to manifest anything into being by channelling certain areas of the mind. The core of LoA believes that we receive what we put our into the universe. Therefore it stands to reason that if we put our goodness and positivity, we will get it back. This positivity can manifest itself in different ways – perhaps an anticipated job promotion, a new car, a relationship or just a sunny day. Through the LoA, you can make these a reality. There are a variety of LoA techniques and resources to help you on your manifestation journey. Origins is largely based around the LoA and is designed as a guide for manifestation. Throughout Origins Hurst focuses significantly on the “intention point,” or the “meeting ground” between your heart and your mind. Hurst explains that your intention point what filters your expectations for the future based on your past. In essence, we are limited when we attempt to manifest through the fears and failures of our past. Instead, Hurst aims to teach her audience how to activate this intention point, allowing it to transform your life. Hurst outlines a breakdown of Origins and everything included in your purchase of her system. This tool will teach you how to quickly flip negative energy into a personal and unstoppable drive in order to shift back into your powerful, radiant, magnetic self. so you can keep calm and stay in control. Next Hurst will teach you a simple 5 minute tactic that cultivates love and appreciation in your life. The Gratitude Garden allows you to receive blessings of abundance and not push them away like you used to. If you’re constantly wondering how certain people seem to come across success so easily, the Goal Getting Cheat Sheet is for you. This guide allows you to quickly uncover your optimal path to achieving your goals without spinning your wheels and wasting your time! This section covers how to remove creative blockages so your heart erupts with startling new insights, allowing you to find solutions you could never see before. Use this and you can finally give your greatest gifts to the world.After all, when you love what you do, it never feels like work! This one is so easy to use, yet so effective. It empowers you to manifest from 3 unique “vantage points” – places where your capacity for abundance expands beyond where you’re at now. This step-by-step “auto suggestion” technique puts you in control of receiving what you want. If you’ve ever had negative feelings about yourself, the Abundance Amplifier can help you quiet them by enriching your soul with 100% belief, allowing you to seize new financial, spiritual and relationship opportunities you’d otherwise miss. The Intention Purifier puts you on the fast-track to feeling accomplished and evolved. This alone shortcuts your learning curve by half or more! Hurst will help you feel supremely confident and respected by every person you meet through the Personal Power Generator. Step by step you’ll activate your 3 internal “dan tien” power centers to become inspired and motivated, giving you a serious advantage over others. Use this when you feel low to banish “downward spirals” of negative energy and manifest from a positive place. Using a simple exercise, you’ll create room in your life to have what you want so you can invite more of what you want into your life. Like most products that center around the Law of Attraction, Origins is meant for anyone wishing to manifest good things into being. However, there is a certain degree of belief required for Origins to work because using the LoA means centering your mind in the right way. Approaching the LoA negatively can yield negative results. Just as you can manifest good things into being, you can also manifest bad. If you begin manifesting believing that it won’t work or that it’s not real, you won’t find successful results. This is a problem that Hurst encountered when she first began using the LoA. But what she didn’t realize was that she was approaching LoA the wrong way. She explains that in order for the LoA to work, you need to manifest intentions and, beyond that, that your mind can secretly trick you into manifesting what you don’t want. These are truths that she reveals in Origins to help her audience avoid the same mistakes she made. Origins is backed by years of scientific study and history. Many experts and scientists have discussed, researched and studied the LoA for years. This history, combined with Hurst’s own experiences, make Origins the perfect product for promoting manifestation. Clearly the LoA isn’t some mythical, unattainable concept. However, as I mentioned above, manifestation can only work if you allow it to. For maximum results, approach the process of manifestation in a positive way, believing that the universe will bring good things into your life. Katherine Hurst is a LoA expert. There are a lot of LoA product creators who claim to be experts but Hurst is the real deal. She works as an editor for one of the largest Law of Attraction websites, which currently hosts over 7 million users and has studied LoA through trial and error over the years. Multiple forms of access. One of the biggest benefits to using Origins over competing products are the numerous avenues through which you can consume the content. Origins offers audio, transcript and video, allowing users to focus on one that caters to their preferred method of learning. Won’t work on ‘non-believers’ – Manifestation isn’t possible without at least some effort on the part of the subject. If you don’t believe in the LoA, you won’t be able to use the LoA. Subjects who are skeptical may not find manifestation success when using Origins. Sometimes you have to start small. The LoA takes practice and trial and error. Therefore sometimes it’s beneficial to start with smaller manifestations (like a sunny day) and work your way up to larger manifestations (like a job promotion or a new car). Origins can be purchased for $49 under a special promotion. Money-Back Guarantee – Origins also comes with a 60 day money-back guarantee if you are unsatisfied with the results. If you are willing to set aside your skepticism and appreciate the LoA for what it is and what it can do for you, Origins is the perfect tool for successful manifestation.